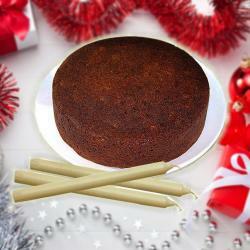 Product Consists : 1 Kg Plum Cake along with Christmas Greeting Card. Send fabulousness gift to your dear ones on Christmas day and win their heart. 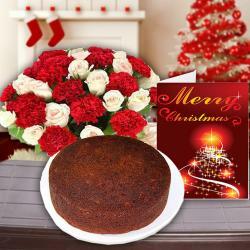 Elate your dear ones on this Christmas with this special gift combo that contains one plum Cake and one Christmas greeting card. This combo is best for wishing merry Christmas as both the items of this gift combo are best for Christmas gifting. Delicious plum Cake is baked with this thought that it is going to be served and distributed among many people and that why they are made so tasty. 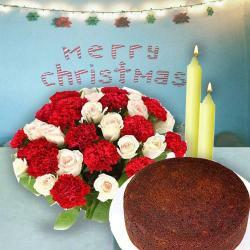 The plum Cake on this gift combo looks irresistible and Christmas greeting Card also looks good with its bright colors. Send this gift combo to your dear ones and wish them merry Christmas with this mouthwatering gift combo. Also send this hamper for your loved ones along with other bewildering Gifts to India through Giftacrossindia and make your dear ones feel special. 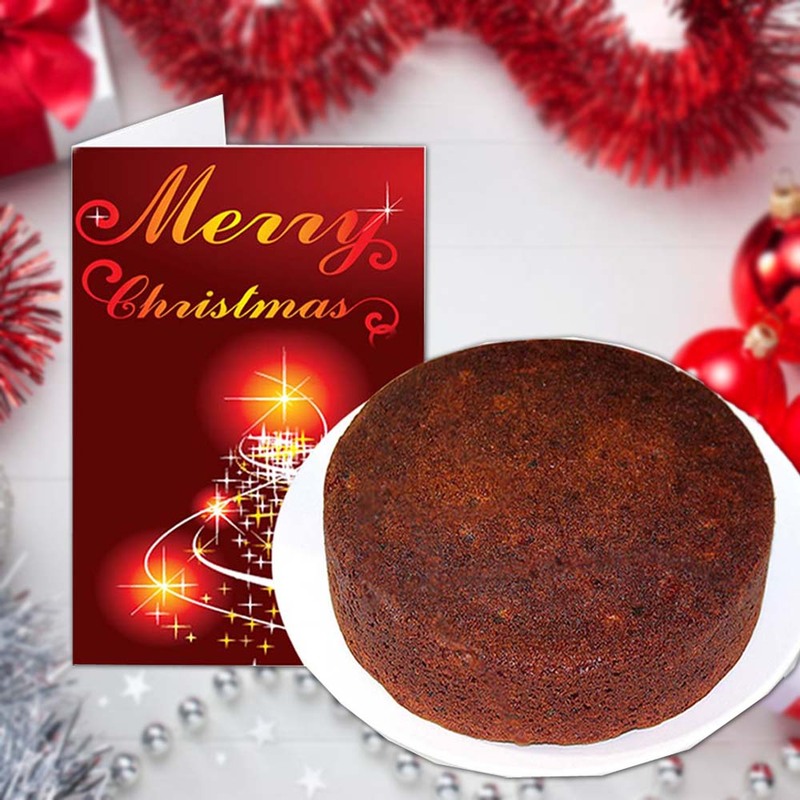 Product Consists : 1 Kg Plum Cake along with Christmas Greeting Card.